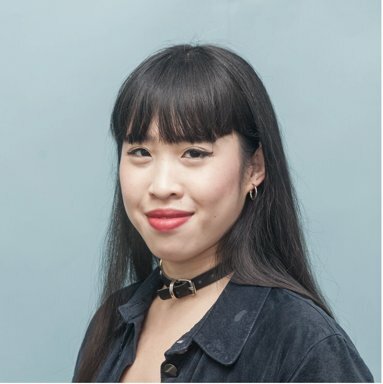 Zing Tsjeng is a journalist from London, where she currently works as the UK editor of Broadly, VICE’s channel for millennial women. She has also written about feminism, arts and culture, politics, race and LGBTQ identity for publications like the Guardian, Buzzfeed, Dazed, i-D magazine and the Debrief. Zing is also a presenter for VICE, and her most recent documentary (Britain First vs Antifascists vs Police) attracted 1.5 million views on Facebook. She is also a keen speaker and panelist, and has appeared on BBC Woman’s Hour and moderated live events at the BFI, SXSW, Web Summit and HowTheLightGetsIn festival. In 2017 she was nominated for the Pride Power List, which celebrates the achievements of influential lesbian, gay, bisexual and transgender people. Zing is the author of the forthcoming feminist series, Forgotten Women, to be published by Octopus in 2018.